There are few things quite as demoralizing than waking up in the morning to a zit on your face. It’s like stepping on a Lego, sitting in chocolate, or finding an unwelcome guest rummaging through your fridge, one who refuses to leave without wrecking havoc on the way out. What is worse is there seem to be plenty of pimple treatments but no cures. For people suffering from acne, this turns into a daily struggle. But a team of French scientists has devised an unusual device that fights acne by blasting it with lasers. 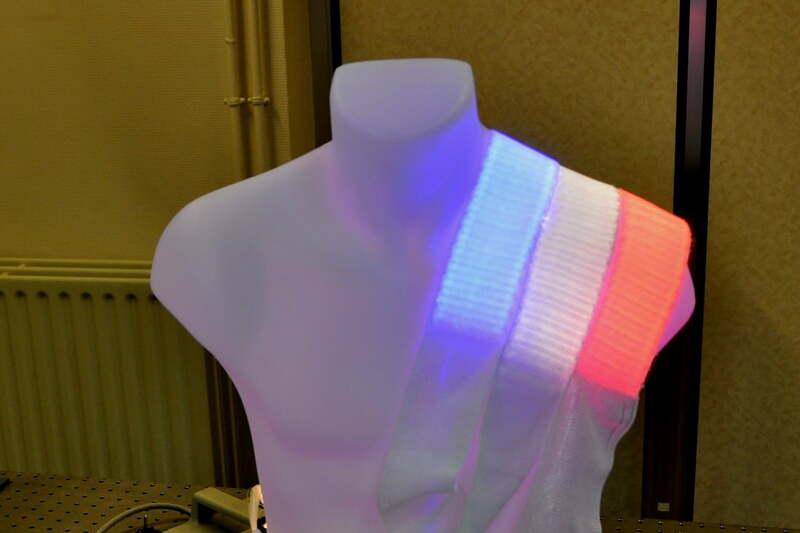 Dubbed the Fluxmedicare, the device is made up of optical fibers fabric knitted into fabric and leverages photonics — the science of light generation, detection, and manipulation — to eradicate undesirable skin conditions with no side effects, according to its creators. The Fluxmedicare isn’t the first light treatment used for acne but the scientists at Texinov Medical Textiles, who invented the device, say it overcomes problems with previous techniques by using flexible fibers that hug the skin. Here is how the Fluxmedicare treatment works. First, the problem skin is coated with a “photosensitizer” cream that laps up light. Then the laser fabric is wrapped around the skin, while its optical fibers increase the speed of reaction between oxygen and the cream. In clinical trials, the total treatment time clocked in at just about 150 minutes with patients reporting limited pain and discomfort. A paper detailing the study is available online. The Fluxmedicare is expected to be available for health professionals in April.